Rachel Brooks, a native of Dallas, Texas, graduated from the Missouri School of Journalism with an emphasis in International print and digital reporting. She speaks Arabic and French and hopes to pursue international news in the future following Peace Corps service. Kevin Graeler is a graduate of the Missouri School of Journalism. He is a reporter with an emphasis on sports. His work has been published in various regional newspapers and magazines. Currently, he is the sports editor of the Hannibal Courier-Post, a daily in Northeast Missouri. Feel free to reach out to him at kevingraeler@gmail.com. Allison Graves hails from Waynesboro, Virginia. She graduated with a Print and Digital journalism degree in the spring 2016. Graves has reported on city government and Missouri politics. Matt Greenfield is currently still pursuing his degree at the University of Missouri. He is a Chicago native and hopes to return home to report on politics or sports. Emma VanDelinder, a native of Austin, Texas, graduated with a degree in journalism from the University of Missouri. She has previously reported on education, the environment and race and hopes to continue to pursue these subjects in the future.  Mandy Zou is a senior at the Missouri School of Journalism, with an emphasis on data journalism. She comes from China and has covered various topics before, ranging from health insurance to student apartments. She hopes to pursue a career in data visualization and inform readers with interesting graphics.